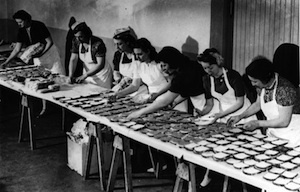 Eat Me Daily reader Emily L. writes in with the following tale of flavor branding gone awry. Have you found a horrible product that should not exist? Do let us know, and be sure to include photos. 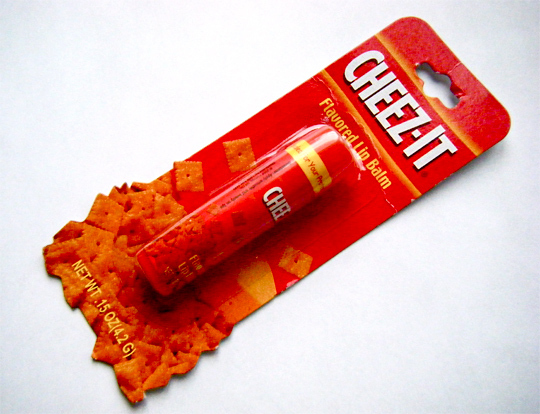 I was at the mall a few days ago and in the clearance bin at an accessories store I saw Cheez-It flavored lip balm. Are there words to describe this? Are there people in the world who actually want their mouths to smell and taste like processed cheese crackers? Of course I bought it. It tastes oddly sweet, almost like breakfast cereal — think Froot Loops, with an aftertaste of buttery cracker and a hint of faux cheddar far in the distance. 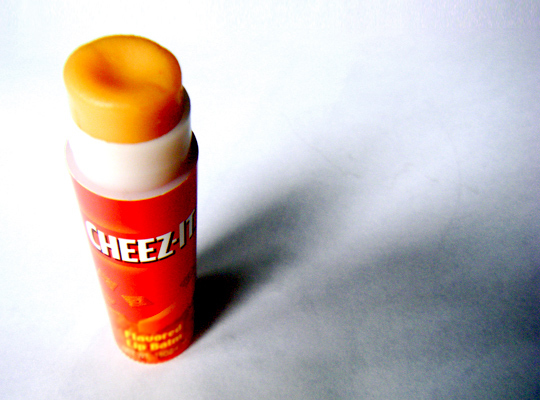 I liberally applied the Cheez-It lip balm and kissed my boyfriend. I asked him to guess the flavor, and after licking his lips and thinking about it, he said creamsicle. Which, to be fair, is also an orange-colored food product, so at least he's on the right track.